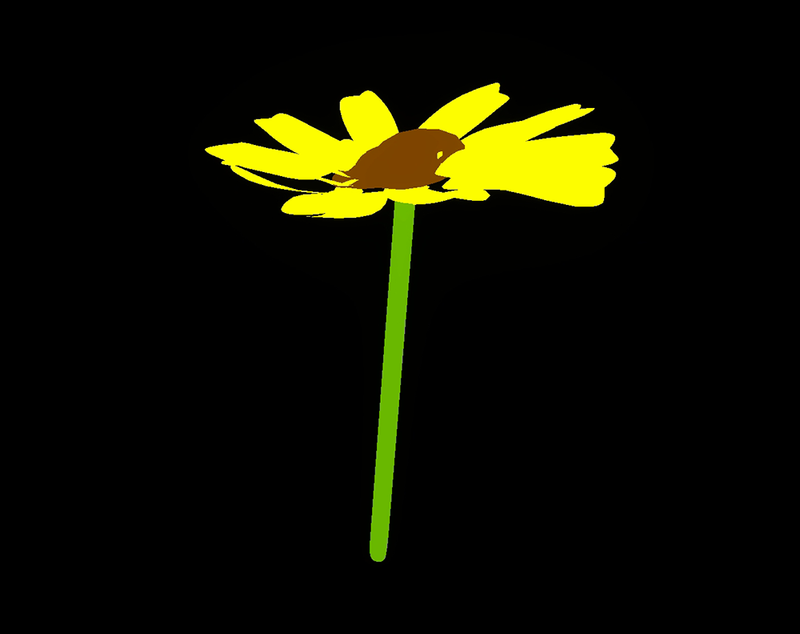 This time, I introduce basic operations of a VR paint software, ‘Tilt Brush’ (for htc VIVE). Please don’t be scared even if you are new for VR illustration or you gave up it because you found it ‘difficult’ before. Tilt Brush is very handy software to make VR space, as you can export your drawing to STYLY easily. 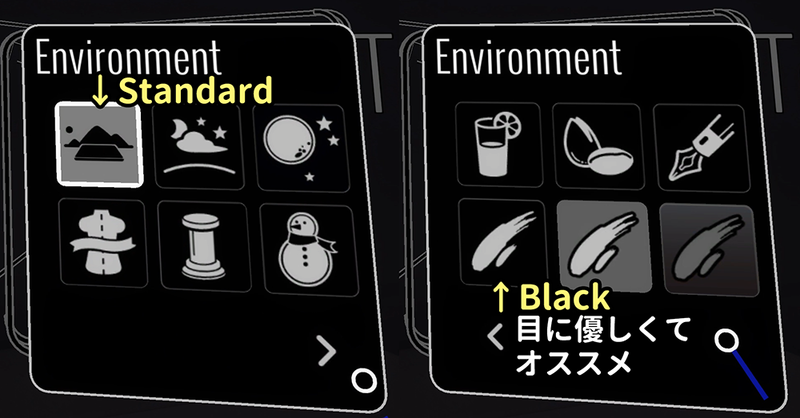 As this is just an introduction, I will explain how to use Tilt Brush with ‘Beginner Mode’ as default. Firstly, change the backdrop (Environment) to suit to what you are going to draw. Leave it ‘Standard’ if you didn’t decide what to draw. 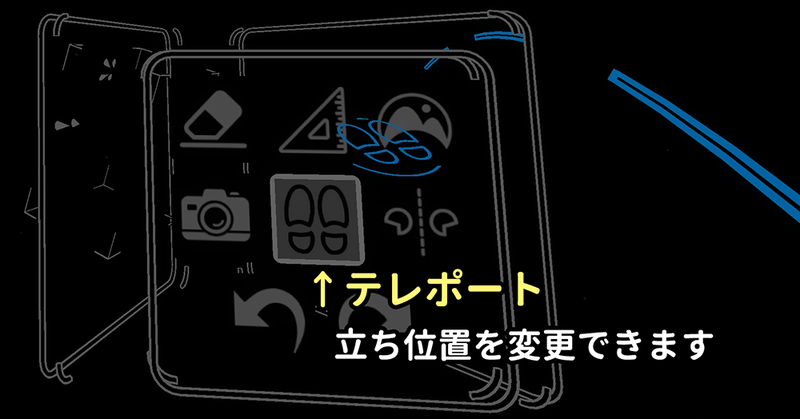 Let’s adjust it after you finish drawing as you can change it anytime. I recommend ‘Black’ to reduce eye strain. Roughly speaking, you can classify the brushes into ‘oil painting brush’, ‘flat brush’, ‘brush for polygon’ and ‘brush with effect’. Since there are too many brushes, taste a new brush little by little while drawing a picture. 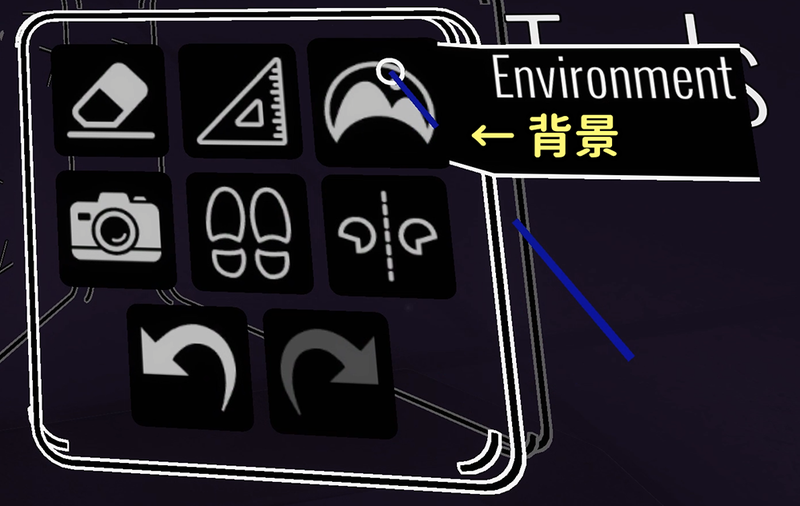 Let’s be familiar with drawing in VR space by a straightforward “flat brush” as a starter. It’s handy to save the frequently-used colours to the palette. (Note that they will be cleared when you start as new). As the colour sometimes look different under a certain condition of brush or light, adjust it while drawing. 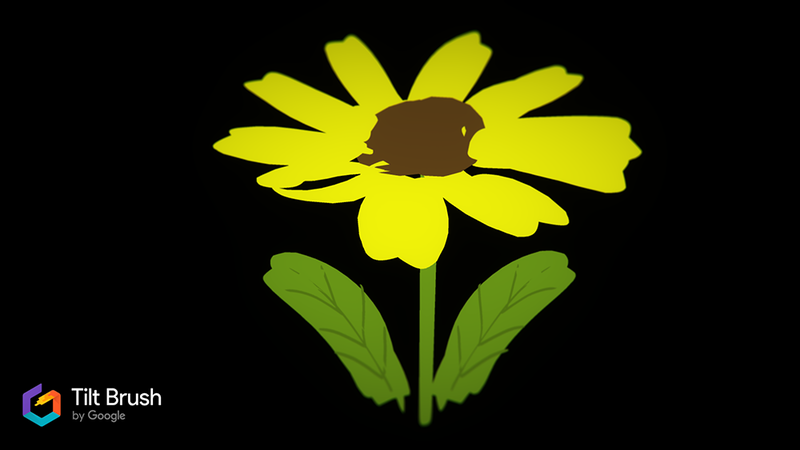 I have chosen yellow as I draw from the petals this time. 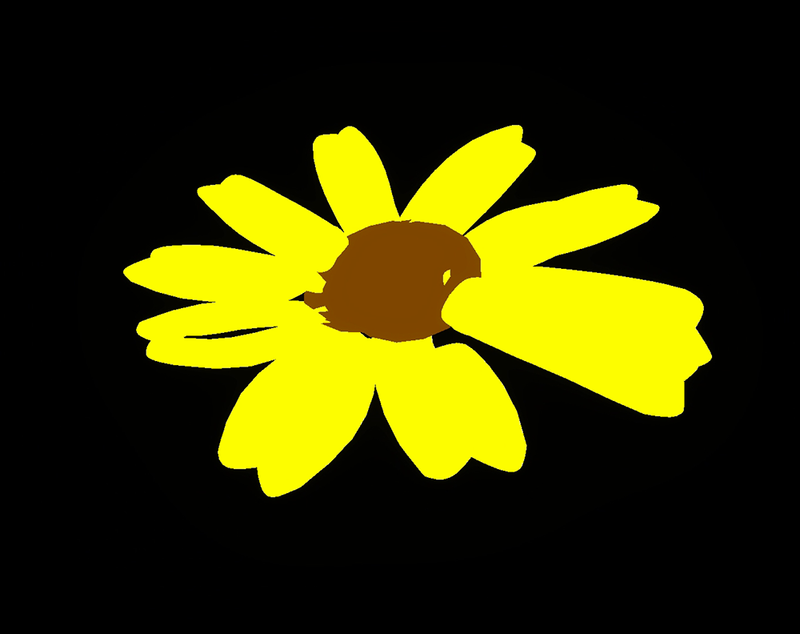 Then, let’s start drawing a flower. At first, adjust the width of your brush stroke by sliding your thumb from side to side along the brush-side(※１) trackpad. You can draw a curve by pulling the brush-side trigger. Now draw with a dynamic stroke by using body motion. Hereinafter, I call the controller used as brush ‘brush-side’ and the controller with Tool window ‘palette-side’. They can be swapped by getting the bottoms of both contorollers touched. 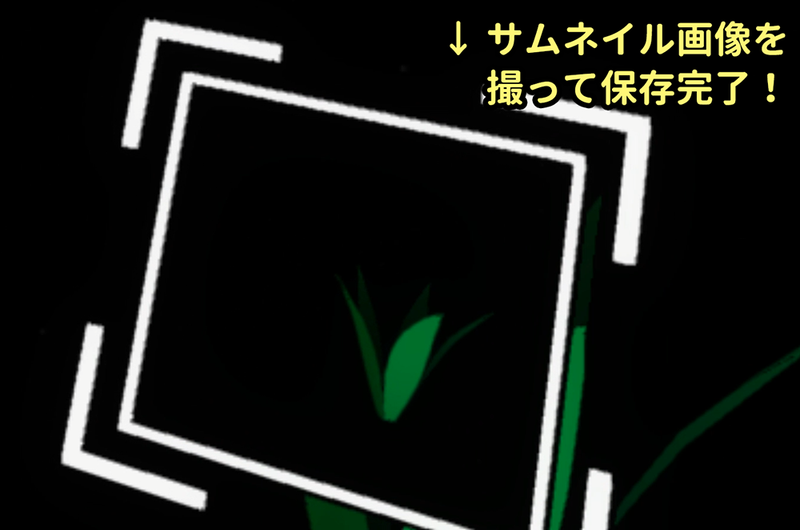 Firstly, we draw the petals. In the case for ‘Whoops! I made a mistake’ situation, use ‘Undo’. 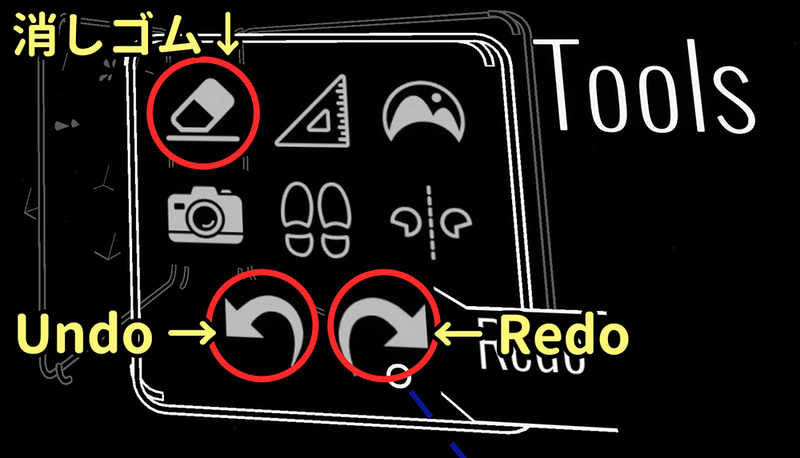 To take a shortcut, you can press the left side of the palette-side trackpad for ‘Undo’, and press the right side for ‘Redo’. You can also delete the curves you don’t need by ‘Eraser’. With Eraser selected from the palette, touch a curve by the brush-side controller with the trigger pulled to delete it. 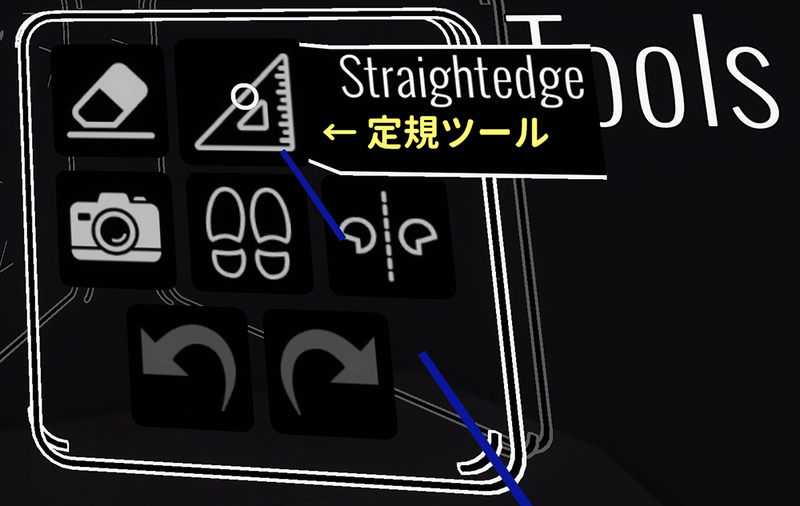 Let’s try to use the ‘Straightedge‘ tool. Select the set square icon to draw a straight line. You can rotate the line with 45-degree step precisely by holding the brush-side trackpad while drawing it. Use it when you want to draw a precise straight line vertically or horizontally, for example, when drawing a building. Release your finger from the trackpad to deactivate it. Press the set square icon again to exit from Straightedge tool. 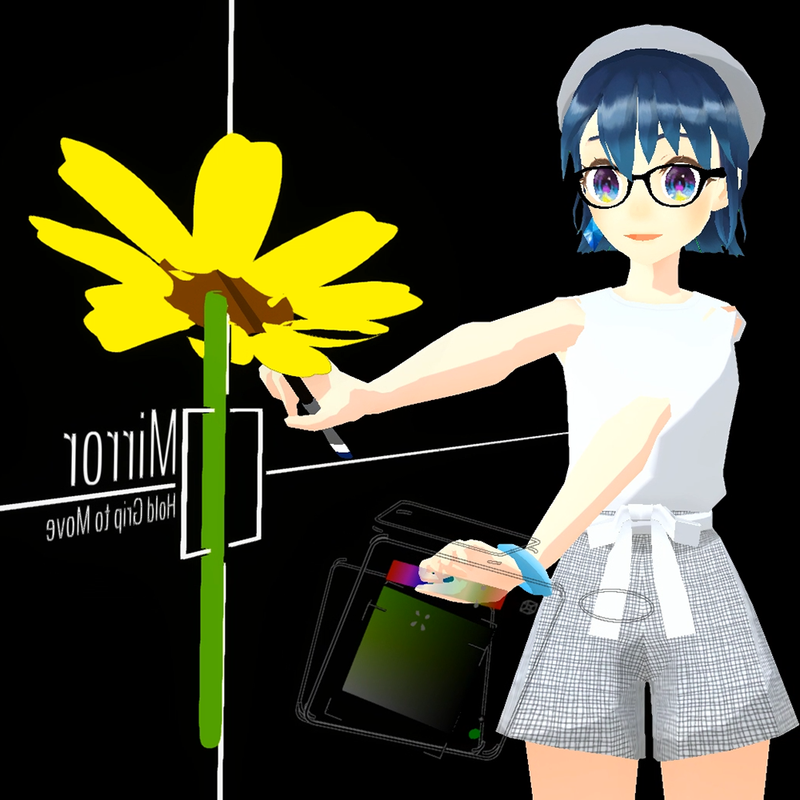 Let’s draw the leaves by ‘Mirror’ tool. 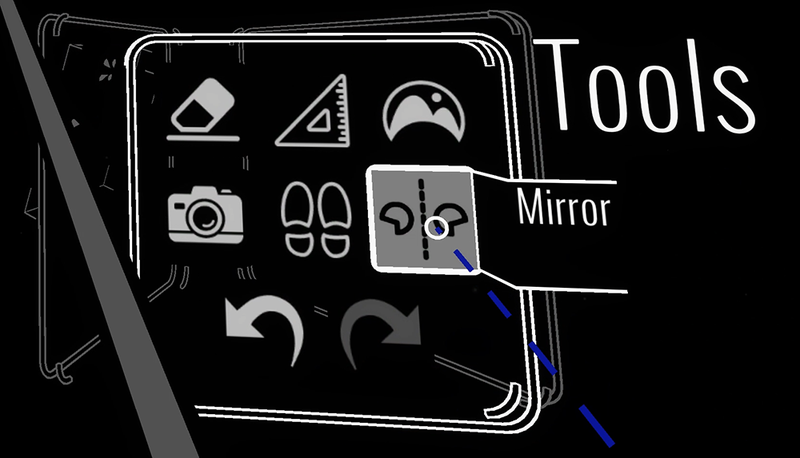 A cross line is displayed when you select Mirror tool. 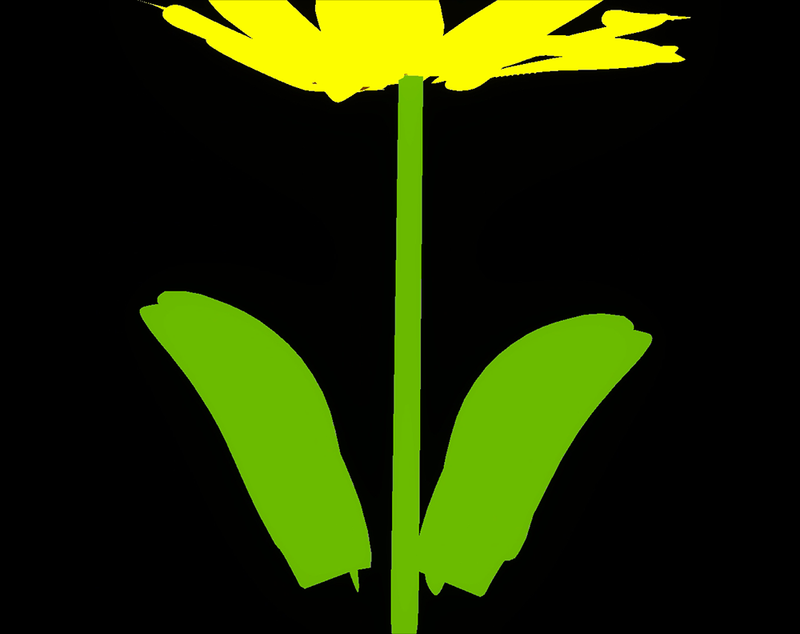 Hold the box at the centre of the cross line by holding the grip of the controller and then move it to the centre line of the stalk. 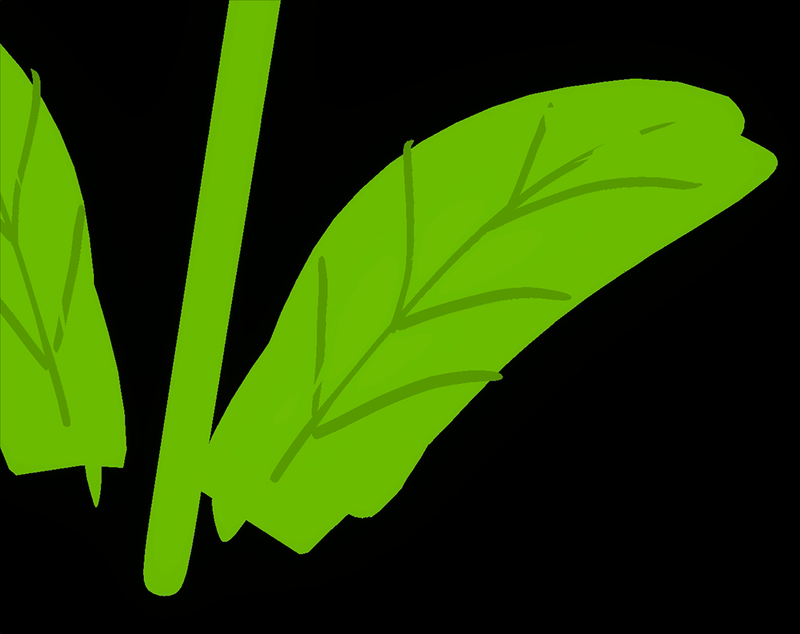 Now, when you draw a leaf on one side, the same leaf is drawn on the opposite side. Remember it to save your time. To finish it up, draw the veins of the leaves. When you draw finer details like this, scale the picture and move it closer to make drawing easier. Narrow or stretch your arms with the grips of both controllers held down. Move your arms together with the grips of both controllers held down. With the grips of both controllers held down, move the right hand forward to rotate counterclockwise and move the left hand forward to rotate clockwise. By 3D nature of VR illustration, you often find your drawing misaligned with what you meant when viewing from another angle. Check frequently from various angles by those operations. Don’t forget to save your work whenever you completed your drawing or suspended your work. You can find ‘Save Sketch’ below the palette. Take a thumbnail image and save the sketch. 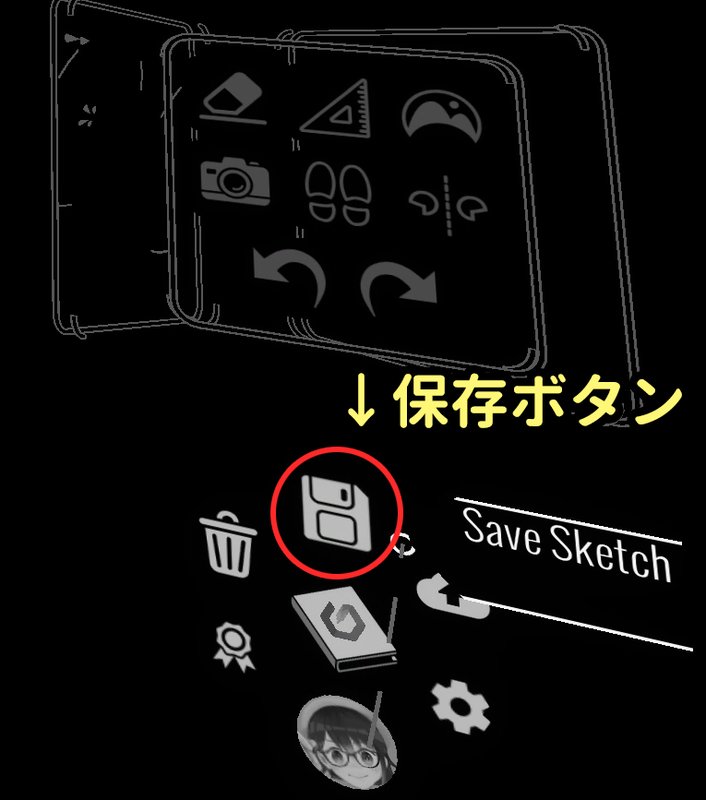 You can open the saved sketch from ‘Sketchbook’. 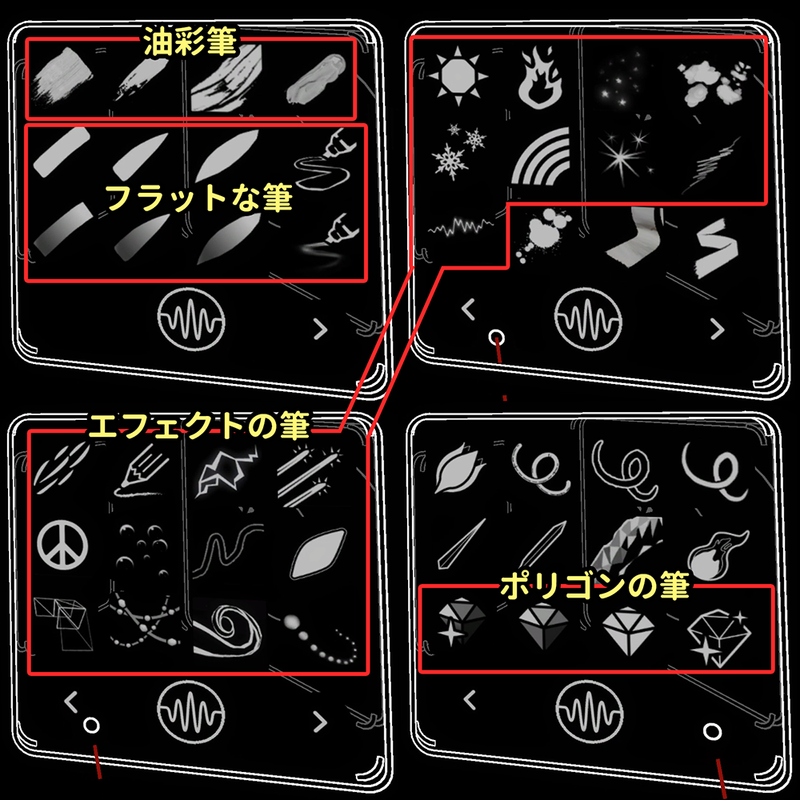 You can also open the sketches by other people from the same place so let’s learn by viewing various drawings. Let’s take a photo by Camera tool and share it with other people by SNS. If you want to take a photo in a long shot, you can move far by Teleport. A finder appears when you select ‘Cameras‘. Now, pull the brush-side trigger with the drawing kept in the finder. 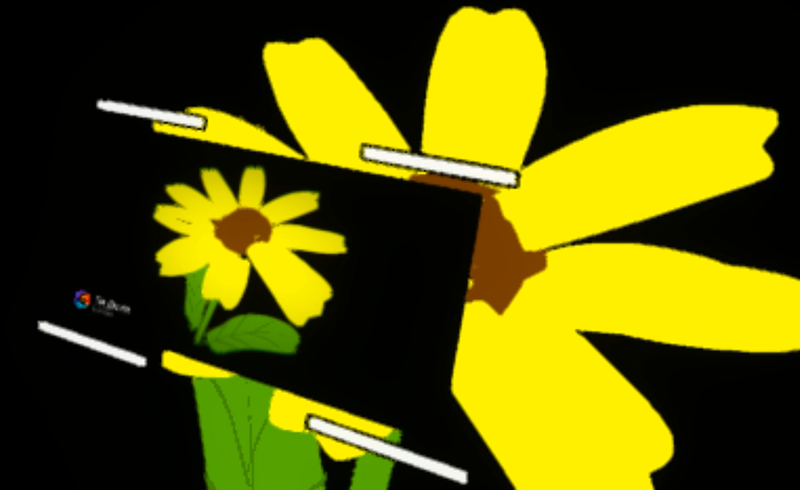 The photo taken is saved to Tilt Brush > Snapshot under Windows’ document folder. Please share your masterpiece on Twitter and etc.! You can find the sketches by others under the Tilt Brush official account,@tiltbrush, or by #TiltBrush tag. 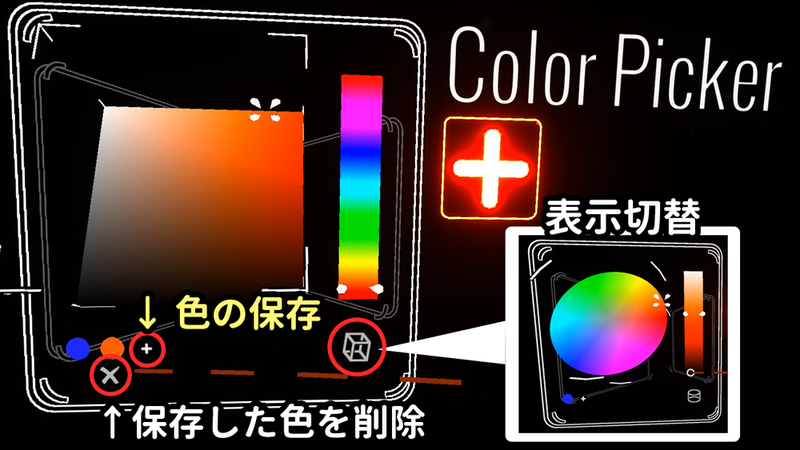 For Tilt Brush beginners, I introduced how to use basic tools by drawing a sample picture. Starting from here, please try to draw various pictures! Please refer to the article below to upload a VR illustration to STYLY. 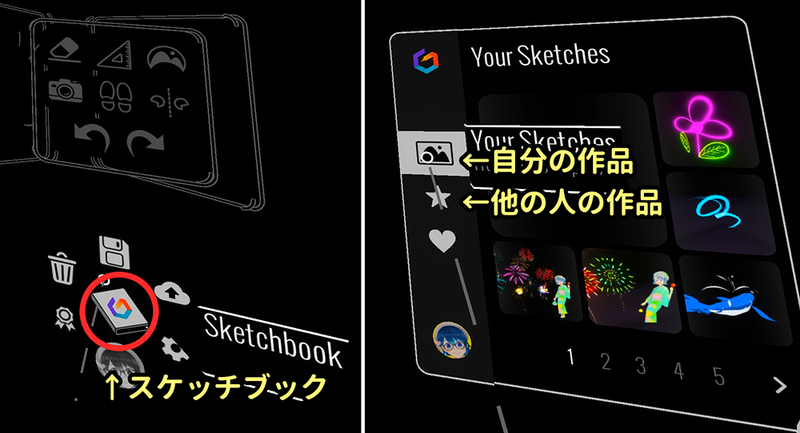 →Let’s display a VR illustration by Tilt Brush in STYLY! Please refer to the following, “Advanced course” if you want to learn advanced techniques of Tilt Brush. Please refer to the video material below to watch the drawing process and other details in this article.